This weekend has been especially difficult, as my chiropractor “strongly advised” that I not do any physical activity for the next few days, outside of the few exercises that he showed me. Logically, it makes sense to isolate all my rehab efforts out in order to give them “space” to work without the risk of further aggravating the problem. At this point, another few days of doing nothing is nothing. With the last few years worth of Saturday mornings consumed with running, I used to wonder what it would be like to be a “normal” person. One who slept until they woke up naturally. One who could go to brunch or run errands and not be a sweaty mess. Turns out, I haven’t been missing out on much of anything. Saturday mornings are painfully boring! 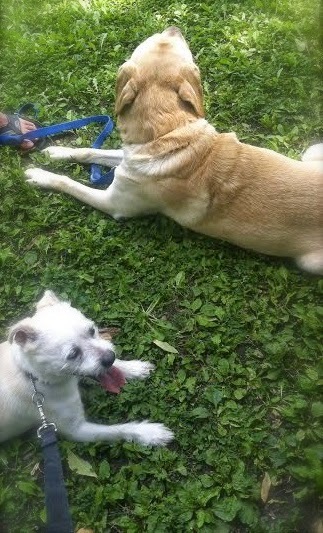 Yesterday, I decided that to fill the void, I would take the dogs on a long walk through the neighborhood. The dogs proved to be out of shape too – I ended up having to carry the little one part of the way home, proving myself to be *that* crazy neighbor. With not being able to run, I have decided that maybe now is a good time to give my diet a complete overhaul. Trying to make any drastic changes during training has always scared me, and because I was always training for something my diet hasn’t really ever been given the attention it deserves. I realize that for someone who supposedly eats healthy, I have a ton of bad habits. My biggest vices are definitely sweets and drinking excessive amounts of caffeine. So after doing a little research, I have decided to challenge myself to eat more “whole” foods and cut out the sugar and heavily processed junk. I am planning on using the Whole 30 model for guidance. 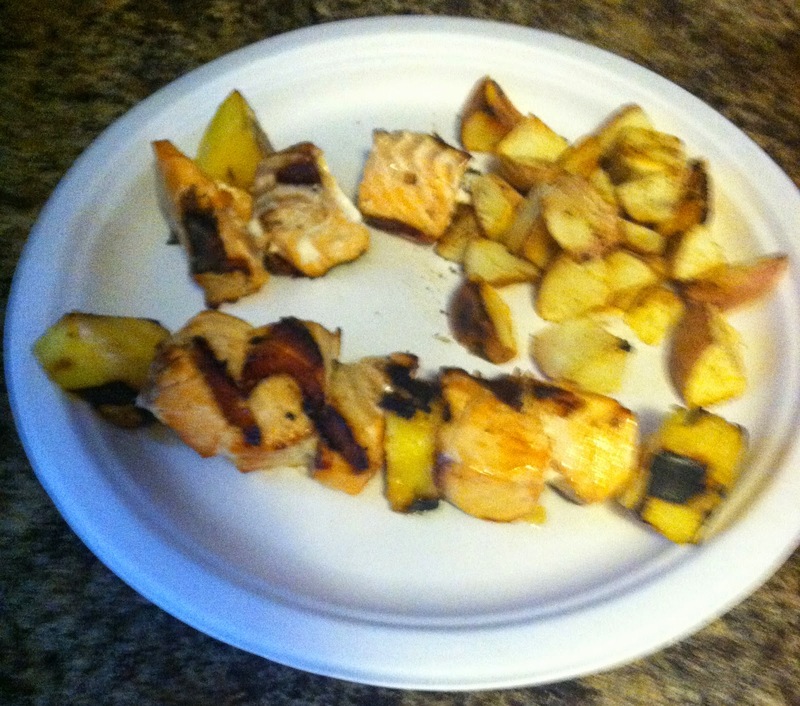 Yesterday was Day 1 of my self challenge and surprisingly I was fairly satisfied with my food choices. 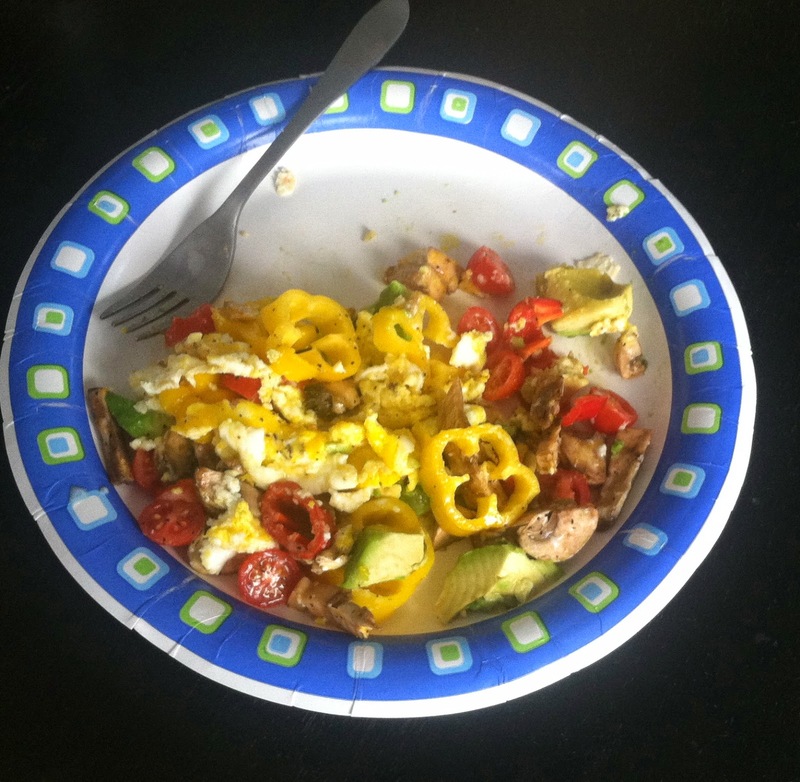 Breakfast was two eggs and chopped veggies (sweet peppers, tomatoes mushroom and avocado). So many colors! 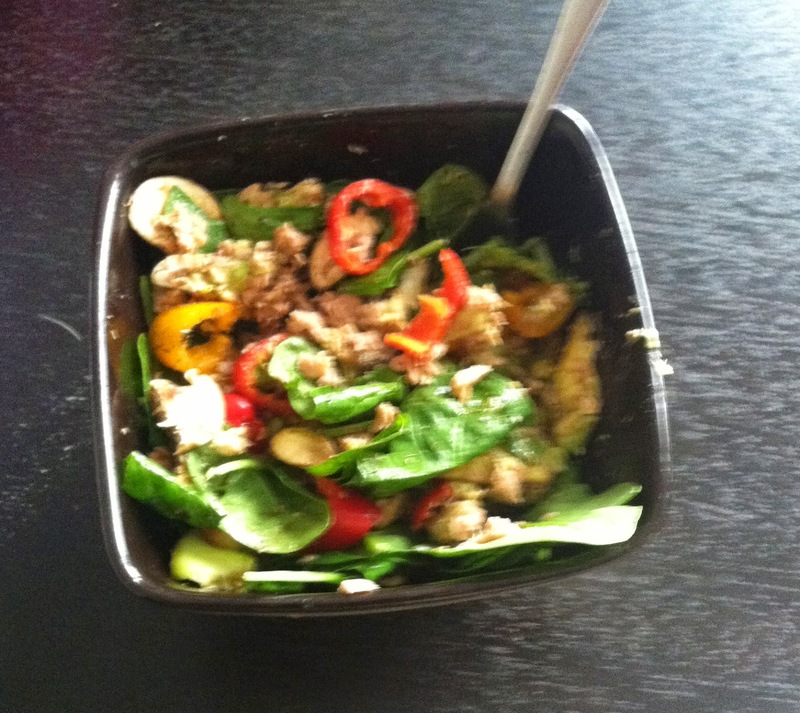 For lunch, spinach salad with tuna, sweet peppers, mushroom, avocado, salt, pepper, dill, and balsamic vinegar. 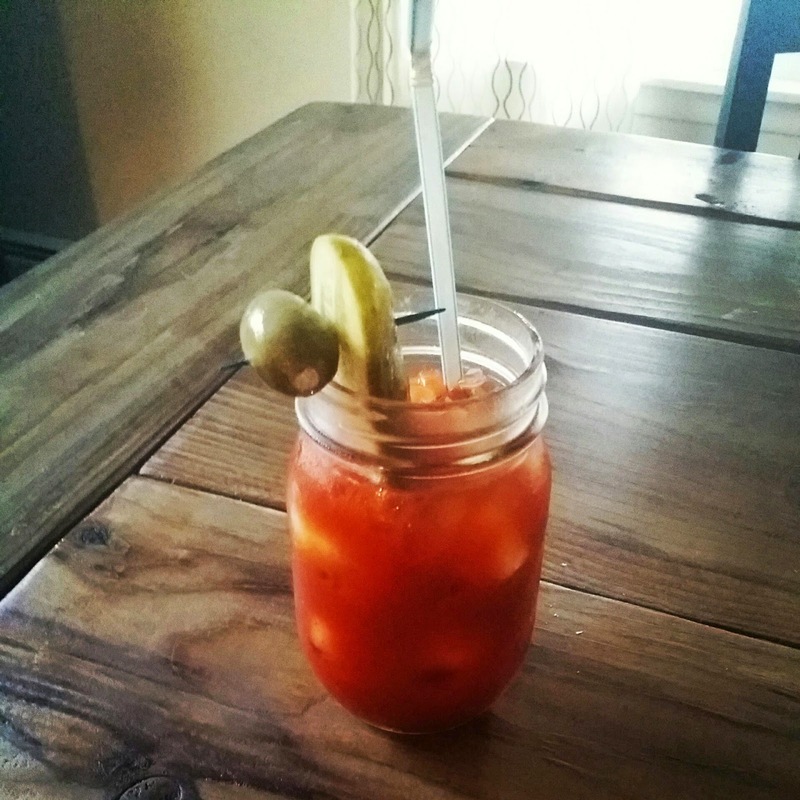 Finally, because I didn’t want to be left out, a virgin bloody mary (vegetable juice, pickle, olive and some spices). Yum! I also had coffee with breakfast and snacked on an apple and some cashews throughout the day. All in all, I am already feeling a little better. The worst part was during grocery shopping at Marianos and turning down all the delicious samples! I have already been gluten free for over a year, hopefully this will be just the change I need to kickstart my “get healthy” campaign. 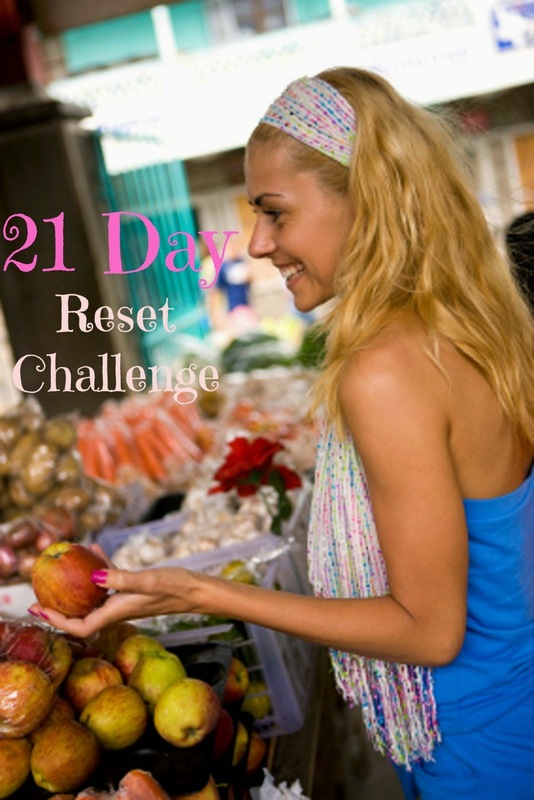 Has anyone else tried the Whole 30 or any other similar challenges?